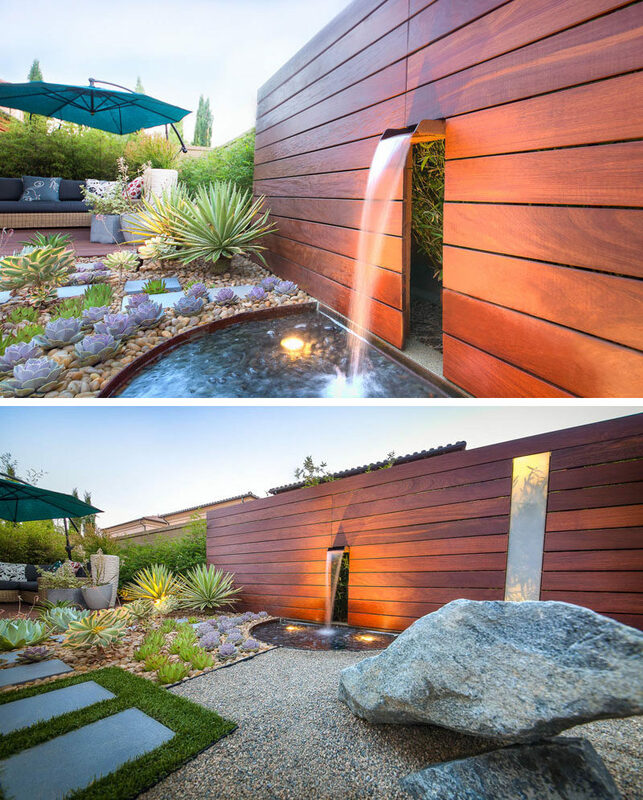 Designed by Studio H Landscape Architecture in collaboration with QS Landscape is this modern zen garden that exemplifies many of the elements typically found in this type of garden. 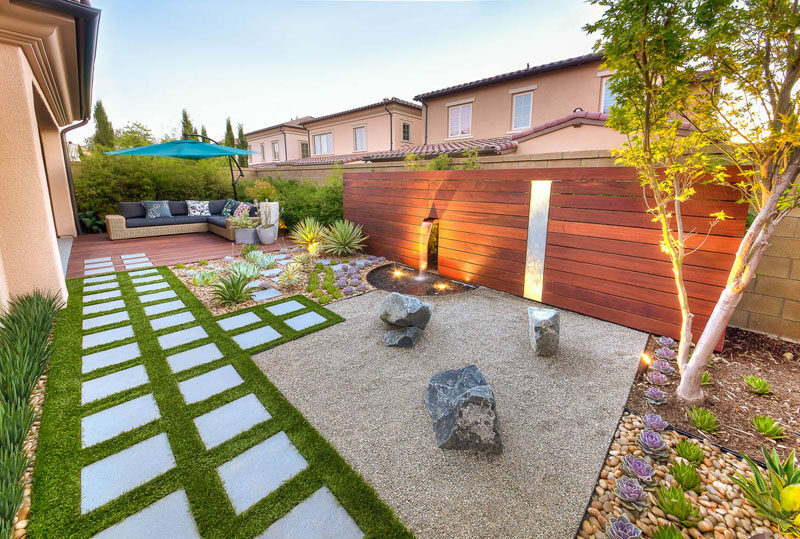 Attention to detail and use of elements that make for a low maintenance and beautifully relaxing space have turned this backyard into a relaxing oasis perfect for entertaining, meditating, or just some peace and quiet. Let’s take a closer look at the garden and each of the elements that work together to create a calm and soothing environment. 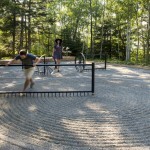 In order to have a properly zen garden, a Japanese rock garden is crucial. 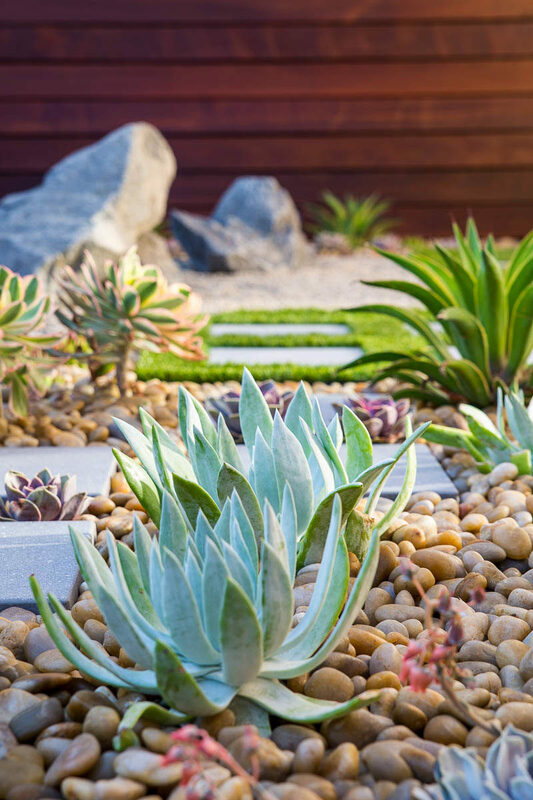 Created to emulate the intricacies of nature and to help with mediation in temples, rock gardens add an element of peace and tranquility to your yard and zen garden. 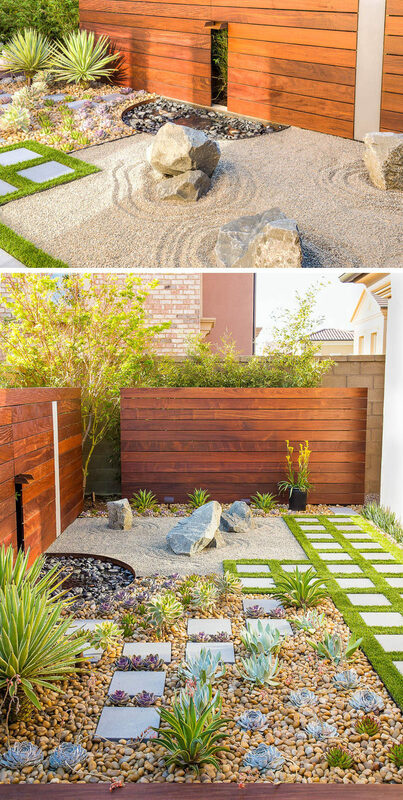 Possibly one of the most relaxing sounds, running water from a water feature is also a key element in a zen garden design. Watching the water flow and listening to its soft trickle and splash helps to relax you and softens up the rocks in your Japanese rock garden. Plant life connects you to nature and aids in the process of relaxation. 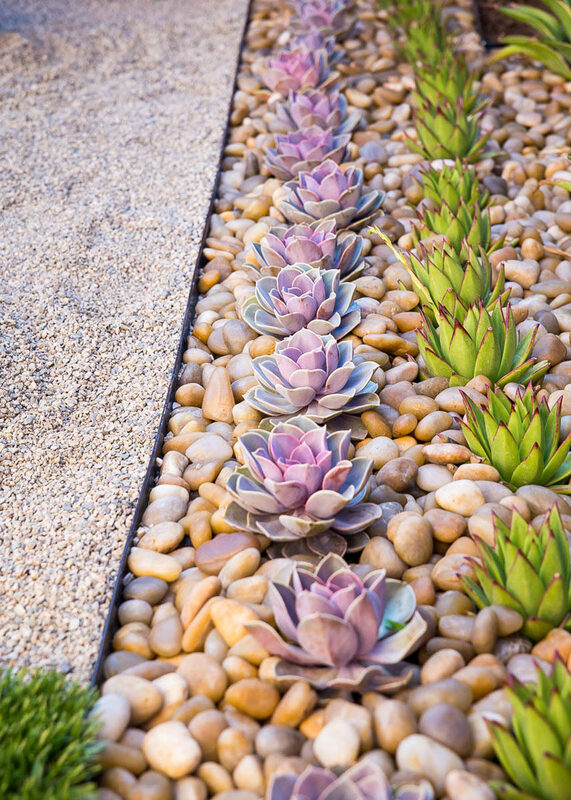 Including low maintenance plants, like succulents, in your zen garden helps create feelings of calmness and serenity. Gardens, including zen gardens, are the perfect place to gather with friends and family. Make sure you have comfortable seating with some sun protection to provide you and your guests with a place to sit and enjoy the beauty and calmness of your zen garden. One of the nice things about zen gardens and all of their different elements is the fact that it creates a little oasis, perfect for wandering through to help calm you down or relax you. 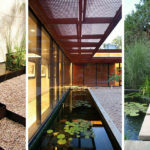 But you don’t want to be walking all over your carefully maintained garden, so to avoid that, include pavers in your design to allow you the pleasure of wandering through your garden without trampling your plants. 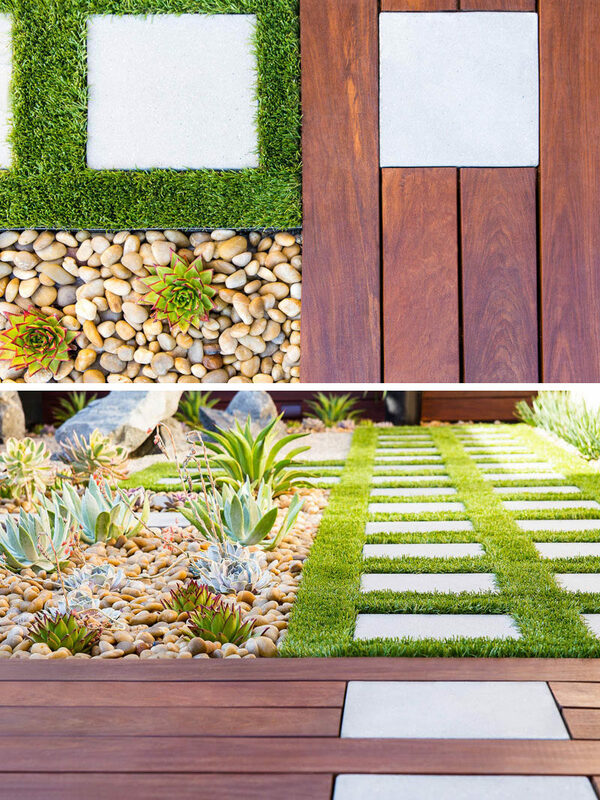 To have a truly low maintenance zen garden, artificial grass was used instead of real grass when designing the space. Plus with the many water restrictions that California has in place, it made sense for them to use it for this garden. Let’s not forget that there are benefits to using artificial grass, like not having to mow it or look after it, maybe picking up a leaf or two will be all you have to do. What good is a garden if you can only enjoy it when the sun is shining? Give yourself the possibility of enjoying a few peaceful moments out in the garden after the sun has gone down by installing some soft lighting. 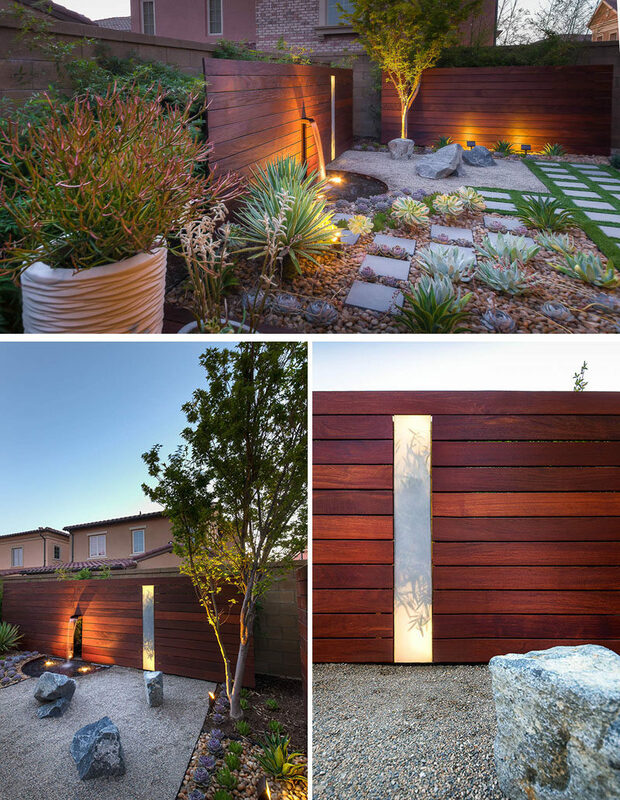 The shadows created by the lights transform your zen garden into a whole new environment and lets you appreciate your design in a whole new light. 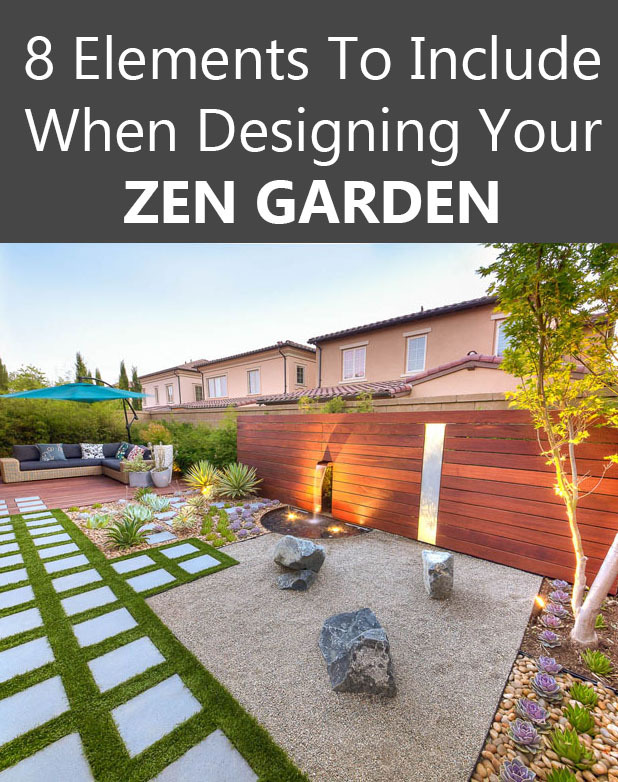 Including wood in your zen garden design helps to give the space a more natural feel. A wood privacy screen and a wood deck, like in this garden, warm up the environment and make it feel more calming while also providing you with privacy and an entertainment space.